Daniel A. Schwartz represents employers in a broad spectrum of employment law matters such as employment discrimination, restrictive covenants, human resources, retaliation and whistle blowing, data privacy and wage and hour issues. He has extensive trial and litigation experience in both federal and state courts in a variety of areas, including commercial litigation and trade secret enforcement. He has also represented employers in appeals to the Connecticut Supreme Court and the Second Circuit Court of Appeals. Dan represents companies in disputes related to contracts and other commercial matters, and advises employers on topics such as voluntary and involuntary reductions in force, employee investigations, restrictive covenants and trade secrets, benefits, hiring and termination, employment handbooks and policies, family and medical leave, and responding to government audits. He also represents employers before administrative agencies, such as the Connecticut Commission on Human Rights and Opportunities and the Connecticut Department of Labor, defending claims of wrongful termination, civil rights violations, and employment discrimination. In addition, he provides timely and practical advice on ways to minimize the risk of litigation and how to respond to any lawsuits or complaints that may arise. Dan is also a member of the firm’s Data Privacy and Protection Practice Group, which uses a multi-disciplinary approach to providing advice to clients on various industries. Dan has experience in drafting policies and procedures for clients to protect employee data, and has provided advice to clients dealing with data breaches involving sensitive employee information. Moreover, Dan has litigated matters to enforce restrictive covenants enabling companies to protect their trade secret or confidential information. Dan is a frequent presenter on the topic, having been invited to speak on Data Privacy and Security to the National Retail Federation (NRF) and the Society for Human Resources Management (SHRM). Dan is the author of the independent Connecticut Employment Law Blog, one of the most widely read blogs of its kind in the nation. The blog discusses new and noteworthy events in labor and employment law on a daily basis. 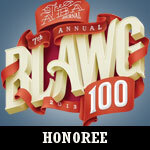 From 2009-2014, the ABA Journal named it one of the top 100 blogs produced by lawyers (the "Blawg 100"). In 2014, it also named the blog to its “Blawg 100 Hall of Fame” where it remains today, noting that Dan “consistently impresses us with concise and incisive analysis of the latest cases and issues to arise in employment law." In 2013, the United States Library of Congress selected the website for inclusion in the historic collection of internet materials related to "Legal Blawgs." Dan is a frequent presenter on a wide range of employment law and commercial litigation topics, and has been interviewed by newspapers, radio and television programs and legal blogs on employment law topics. He recently published a chapter on social media and human resources issues in Think Before You Click: Strategies for Managing Social Media in the Workplace (Thompson Publishing, 2011). In 2015, he also published the chapter “Social Media: Here Today, Here Tomorrow” in the book, The Relevant Lawyer - Reimagining the Future of the Legal Profession (ABA Publishing 2015). September 4, 2014 Dan Schwartz quoted in the Inc. article, "Why 'Wage Theft' Should Scare You"
August 13, 2014 Dan Schwartz quoted in the ABC News piece, "Woman Says She Was Denied Job Due to Peanut Allergy"
July 14, 2014 Dan Schwartz quoted in LTN News article, "Hackers Are After Employee Data Now"
September 15, 2017 The New York Times Quotes Dan Schwartz on Issues Surrounding "Speech of Public Concern"
September 12, 2014 Dan Schwartz quoted in Law360 article, "'Like' Appeal May Test NLRB Protection For Facebook Rants"
May 12, 2014 Dan Schwartz featured as a guest on WNPR's "Where We Live"
May 2-4, 2016 2016 Tri-State SHRM Conference "Building a Sustainable HR Legacy"